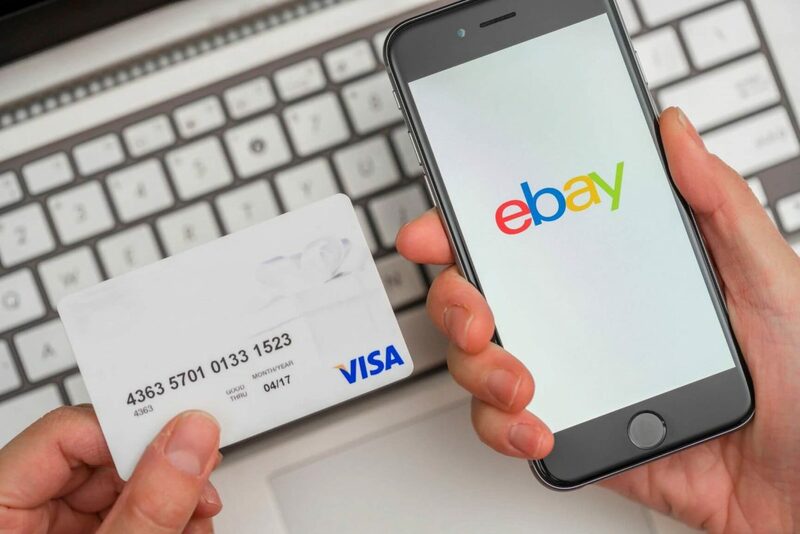 With the holidays rolling around and our recent addition of eBay Australia to the marketplaces analyzed by Algopix’s product analysis platform, we thought you’d like to see some of the most popular products that Algopix recommends to sell on the eBay Australia marketplace at this time. And when we say “recommended” that is definitely from the seller’s perspective, meaning there is significant market demand and enough margin for sellers to generate a respectable profit. These items cover a range of categories, with something for everyone. So no matter if your target buyers are gaming enthusiasts, techies, photographers, or athletes, there is something you can sell. Even if you target more general audiences, check out the health care products, household appliances, and the children’s toys. These are just a few examples of the profitable products that are in demand on the eBay Australia marketplace. Diablo III 3 Eternal Collection RPG Fighting Adventure Game Nintendo Switch NSW has a recommended market price of $68.67 and a high demand level on eBay AU. 2. NETGEAR XR500 Nighthawk AC2600 Dual band Pro Gaming WiFi Router has a recommended market price of $262.90 and a high demand level on eBay AU. 3. Seagate 12TB IronWolf NAS SATA 6Gb/s NCQ 256MB Cache 3.5-Inch Internal Hard Drive has a recommended market price of $424.20 and a high demand level on eBay AU. 4. LaCie Porsche Design 8TB USB 3.0 Desktop Hard Drive + 2mo Adobe CC Photography has a recommended market price of $199.72 and a high demand level on eBay AU. 5. Nikon D850 DSLR Camera Body ZF has a recommended market price of $2,775.09 and a high demand level on eBay AU. 6. New EQUIPMED Knee Walker Scooter Mobility Alternative Crutches Wheelchair has a recommended market price of $106.03 and a high demand level on eBay AU. 7. New 55L/D Air Dehumidifier Room Wall Dryer Water Dryer Moisture Removal Digital has a recommended market price of $362.40 and a high demand level on eBay AU. 8. New Xiaomi Robot Vacuum Cleaner – White has a recommended market price of $421.19 and a high demand level on eBay AU. 9. New MTM Trimmer Line 3.1mm x 120M Whipper Snipper Cord Brush Cutter Brushcutter has a recommended market price of $28.32 and a high demand level on eBay AU. 10. New ROVO KIDS Wooden Toy Box Shelf Kids Storage Display Unit Organiser Rack Bins has a recommended market price of $37.77 and a medium demand level on eBay AU. 11. New 12ft Round Trampoline Basketball Set Safety Net Ladder Spring Pad KickDeck has a recommended market price of $193.15 and a high demand level on eBay AU. 12. 17LPM 12V Diaphragm Water Pump High Pressure Camping Caravan has a recommended market price of $48.30 and a high demand level on eBay AU. 13. New TRUNKI Ride On Suitcase Toy Box Children Kids Luggage has a recommended market price of $43.18 and a high demand level on eBay AU. 14. New SEACLIFF Stand Up Paddle Board SUP Inflatable Paddleboard Kayak Surfboard has a recommended market price of $297.04 and a high demand level on eBay AU. 15. OVERDRIVE Racing Office Chair- Seat Executive Computer Gaming Deluxe PU Leather has a recommended market price of $77.71 and a high demand level on eBay AU. 16. PU Leather High Back Office Chair – Black has a recommended market price of $76.26 and a high demand level on eBay AU. 17. Fitbit Unisex’s Versa Health and Fitness Smartwatch, Peach, One Size has a recommended market price of $284.70 and a high demand level on eBay AU. 18. Garmin vívomove HR, Hybrid Smartwatch Men Women, Black/Rose Gold has a recommended market price of $195.61 and a high demand level on eBay AU. So have we got you thinking? Maybe you want to check out what’s already in your inventory that would be good to sell there? Or perhaps you received a list of items from a supplier and you want to know what makes sense to buy (and sell of course)? Or maybe you just want to do some research on your own ideas. Algopix makes product research a snap. Give us a try for free for 7 days, no credit card to enter, no strings attached. We’re sure that you will see how we can help you make more money as an eCommerce seller, not only this holiday season, but every day of the year!